Thursday 16th February at 08.00am UK time, 19.00pm Sydney time. This is a great opportunity to ask the questions you have always wanted to ask from two long-time practitioners and teachers. Margaret Spicer has been a Bowen practitioner for 20 years and a passionate Bowenwork Instructor since 2000. 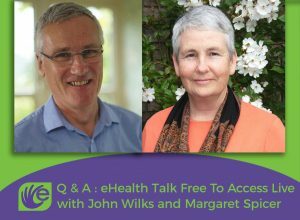 With a background originally as a pharmacist, then a naturopath with more than 25 years involvement in Natural Therapies and a successful clinical practice in Sydney, she brings an in-depth knowledge and a wealth of experience to this webinar. Please do bring your most difficult questions to this interactive webinar and we will do our best to answer them!